The cabinet is expected to authorize Interior Minister Aryeh Deri to decide the issue of opening supermarkets on Shabbat and holidays. The cabinet is expected to return the authority over Shabbat observance to Interior Minister Deri and to allow him to decide regarding the issue of Tel Aviv by-laws permitting the opening of supermarkets on Shabbat and holidays. 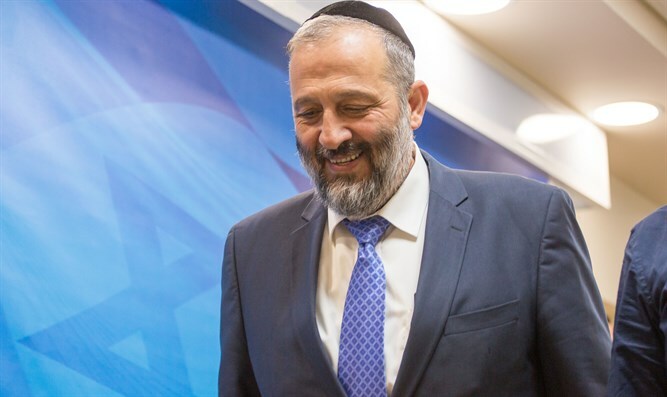 The decision regarding the matter was taken at a meeting yesterday between Interior Minister Deri, Yariv Levin, who serves as Liaising Minister between the Government and the Knesset and Cabinet Secretary Tzahi Braverman. At the same time the state will ask for an extension in order to allow Deri to take a decision which will be unanimously accepted. Earlier, High Court Chief Justice Miriam Naor stated her opinion that the Interior Minister should be given authority over the Shabbat issue and that he was the person responsible for taking decisions on the matter. At the beginning of the week, Meretz Chairwoman Zahava Galon wrote on her Facebook page that "the government risks a civil uprising if it enforces the status quo on Shabbat observance in Tel Aviv."